“Today the Trump Administration made it clear that San Francisco can no longer ‘wait and see’ when it comes to defending its residents from deportation. San Francisco’s public defenders stand ready and willing to fight for the city’s families in immigration detention. We are used to taking on the toughest cases, navigating the complicated intersection of criminal and immigration law, and helping people facing indefinite incarceration. 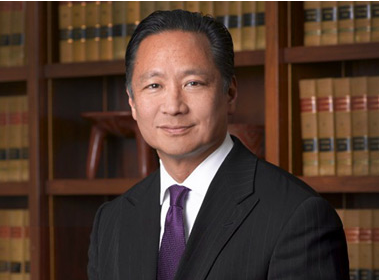 On Jan. 31, Lee issued the following statement: “Today, City Attorney Dennis Herrera, on behalf of San Francisco, filed a federal lawsuit against President Trump’s administration that will protect San Francisco’s sanctuary city status. I commend City Attorney Herrera and his team for their swift action on this filing to protect our sanctuary city. “The misguided executive order makes our cities less safe and, we believe, is unconstitutional. If President Trump is truly invested in making America safer, then it is imperative that the new administration and Congress pass comprehensive immigration reform. “We need strong cities to continue to push our nation forward. San Francisco will not stand by as the safety of our residents and cities, and the values we stand for, are compromised.